Contact Imprint Arrival Appartement Nicola - Apartments in Sölden! Family holidays in Sölden! Directly at the slope, ski run! 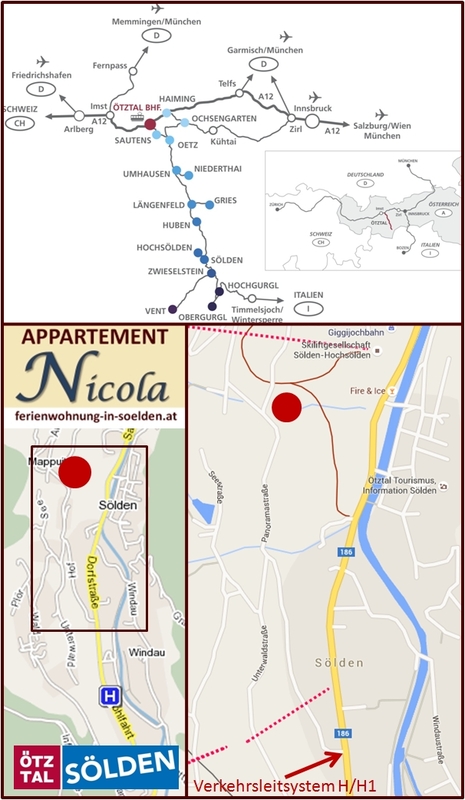 Contact / Imprint / Arrival Appartement Nicola in Sölden!